Human beings are social animals. Our very survival depends largely on our socialization skills. In part, this is because we are at the mercy of each other for our existence. While our ties to other humans are important, our family ties are even more so, and even stronger. Within the family structure, when a person goes through some serious mental illness it can put a heavy strain on the rest of the family. This can become even more troublesome if the person is going through the peaks and trenches of bipolar disorder. The nature and severity of bipolar disorder and how it is managed doesn’t just have a negative effect on the person who’s been diagnosed. It also affects the entire family in many ways. Discussions about mental illness are full of myths and misconceptions. We all deal with the normal ups and downs of life. In fact, bipolar disorder isn’t always easy to diagnose, because the family sees the symptoms as part of a minor problem. 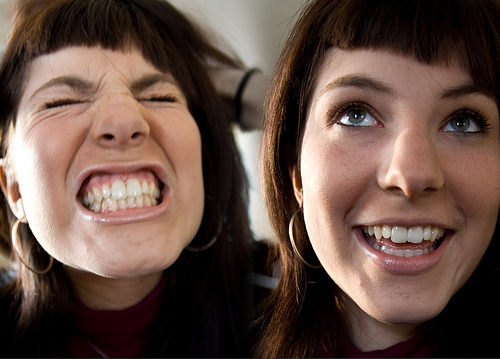 A person suffering with bipolar disorder goes through unusual mood changes that we call manic-depressive states. Sometimes he can feel down, sluggish and emotionally miserable. This is a depressive state. But sometimes, that same person can be energetic, active and wired. This is a manic state. Often, the person suffers from mixed manic and depressive states, with some phases lasting for more than a week. This emotional roller-coaster ride is more powerful than the usual emotional phases that are faced by those who don’t suffer from mental illness. The victim of bipolar disorder can have a serious effect on everyone with whom he socializes, including his family and friends, because it is difficult for anyone, even those closest to him, to deal with the strange, inconsistent thought processes and unpredictable behavior that such people experience. While in the depressive phase, the victim may lock himself in his room and refuse to socialize with others, including family. Often, he will simply ignore basic responsibilities. Family members may often dismiss this behavior as mere attention-seeking, or as an attempt to avoid his responsibilities, and they will simply dismiss the behavior and the victim. Once the diagnosis has been made, the victim and his family will have to deal with the societal stigma that mental illness brings, and they will tend to be quiet about it, because of the shame that accompanies diagnoses of mental illness. The prospect of humiliating questions and assumptions causes them to withdraw even more. Because there is significant evidence in favor of bipolar disorder being passed on genetically, once the victim is diagnosed, families may blame themselves for the illness and also feel some guilt for not believing there was something wrong in the first place. But they can also come to treat the victim with fear and mistrust. While suffering from bipolar disorder, the victim may become very aggressive and bossy during the manic phase, making demands on family members. They can often become dangerous, to the point of attempting to harm themselves and others. The fear, hopelessness and anxiety their behavior can cause can envelop the entire family. Because bipolar symptoms come and go, the family is always uneasy, and wondering about the victim’s condition, leading to many conflicts. Exacerbating these potential conflicts is the high cost of treatment for bipolar disorder, which can put a strain on the family’s finances. These feelings can persist, and even become exacerbated, if the long-term treatment brings little or no improvement. The circumstances surrounding a diagnosis of bipolar disorder can be devastating and unbearable for both patient and family. The support of the family unit is very important during the treatment of a bipolar patient, so family therapy and family support groups can be very helpful in relieving the stress and pressure that makes support difficult. Group therapies can help family members realize they are not alone, by making them realize that many families go through the same thing, and with adequate resources, things can improve for them, too. But for families of victims of bipolar disorder to get better over the long run, the stigma of mental illness must cease to exist. The patients and their families must be able to talk about the issue freely, without shame or guilt. Bipolar disorder is like any other disease; it’s no one’s fault. Giving up is not an option. We ought to love those who need us. Anna Kaminsky is a blogger, a mother of two boys, and an aspiring psychologist. She is completing her PhD in Psychology at the University of Toronto and works as an intern at the Richmond Hill Psychology Center, where she helps with psycho-educational assessments, gifted testing, and play therapy.